Born in West Sumatra in 1955, Azyumardi Azra is currently senior Professor of Islamic History at Syarif Hidayatullah State Islamic University, Jakarta, where he served as rector for two terms from 1998 to 2006. A distinguished scholar, he received two MAs (1988, 1989), an MPhil (1990) and PhD (1992) from Columbia University, New York with a dissertation on “The Transmission of Islamic Reformism to Indonesia: Networks of Middle Eastern and Malay-Indonesian `Ulama in the Seventeenth and Eighteenth Centuries”. He founded the journal Studia Islamika in 1993 and continues to be editor-in-chief. The author of many books on Indonesian Islam, he has been a visiting professor at Oxford University (1994-95) and New York University (2001) and has lectured around the world. He has also received numerous awards, including theBintang Mahaputera Utama from President Susilo Bambang Yudhoyono in 2005 and the Commander of the Order of the British Empire (CBE) in 2011. 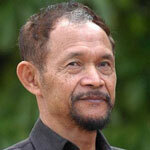 Goenawan Mohamad is a renowned poet, author, librettist, dramatist, columnist, critic and human rights activist. 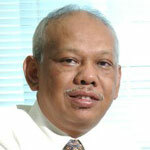 He is the founder and longtime editor of Indonesia’s TEMPO weekly news magazine (1971-1993 and 1998-1999). He is also founder of the Institut Studi Arus Informasi (ISAI) which campaigns for freedom of expression and Komunitas Salihara, an arts and theatre complex. In 1999, he was named International Editor of the Year by World Press Reviewmagazine. In 1998, he was one of four winners of the CPJ International Press Freedom Award and in 2006 he received the prestigious Dan David Prize award. He is co-founder of the Lontar Foundation, an Indonesian writers’ group and is on the international advisory board of the human rights group ARTICLE 19. He was born in Batang, July 29, 1941. Todung Mulya Lubis is Indonesia’s best-known human rights lawyer as well as the founder and senior partner of Lubis Santosa & Maulana. (He was just appointed ambassador to Norway and will leave in February 2018). He obtained LL.M degrees from University of California at Berkeley (1978) and Harvard University (1987) and a doctorate (JSD) from the UC-Berkeley (1990). He is a founder of the Indonesian Advocates Association (IKADIN) and has litigated some of the most high-profile defamation cases in recent Indonesian history. He is a regular lecturer at law faculties in Jakarta, Yogyakarta and Medan and sits on the board of numerous non-profit organizations. He served on the international board of International Crisis Group (2002-2008) and is currently chair of the executive board of Transparency International Indonesia (TI). He also a board member of the Indonesian Legal Aid Foundation (YLBHI); the Center For Electoral Reform (CETRO); the TIFA Foundation; IMPARSIAL; Indonesia Procurement Watch and Indonesia Corruption Watch, among others. He has also served on the board of many regional human rights organizations. In addition to his professional accomplishments, he is also a prolific writer and commentator. He was born July 4, 1949. 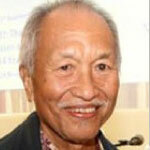 Aristides Katoppo is a journalist, publisher, environmentalist and freedom of expression icon. He was a co-founder of Sinar Harapan, a leading afternoon newspaper in Jakarta that was banned in 1986 by the then authoritarian government. He founded Suara Pembaruan in its place. 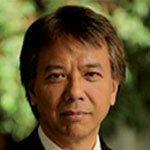 In the 1990s, he was a co-founder of Forum Demokrasi with Abdurrahman Wahid, later to become Indonesian president. After the fall of Soeharto, he revived Sinar Harapan, returning as chief editor again. In 2001, he was a visiting lecturer at the School of Advanced International Studies, Johns Hopkins University, and the School of Media and Public Affairs, George Washington University. Aristides Katoppo is a keen observer of Indonesian political scene and a leading commentator on Indonesian social and political issues. He was born in Tomohon, North Sulawesi on March 14, 1938. Bivitri Susanti is a founder of the Indonesian Centre for Law & Policy Studies (Pusat Studi Hukum & Kebijakan Indonesia or PSHK) and the independent Jentera Law School. She obtained her PhD from the University of Washington School of Law, USA and her master’s degree (LLM), with distinction, in Law in Development from the University of Warwick, UK, in 2002. 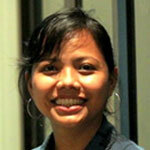 She holds a bachelor’s degree in law from the University of Indonesia in 1999. She served as PSHK’s Executive Director (2003-2007) and an adviser for the Indonesian Attorney General’s Office (2005-2007), the People’s Consultative Assembly (2007), and the House of Regional Representatives (2007-2009). Bivitri conducted a number of studies and wrote well-accepted policy recommendations, such as Blue Print for the Human Rights Court (2005), Blue Print and Action Plan to Reform the Commercial Court (2003), Blue Print and Action Plan to Establish the Special Court on Corruption Cases (2003), and Research on the Indonesian Constitutional Reform (1999). 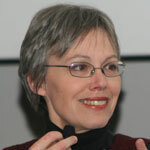 Her publications include: the Implementation of the Right to Health Care and Education: Indonesian Case (in Varun Gauri and Daniel Brinks, Eds. Courting Social Justice, Cambridge University Press, 2008) and a number of articles in Indonesian language on legal reform and politics. Endy Bayuni is a senior editor at The Jakarta Post and writes regular columns about Indonesian politics, the evolving political cultures, Islam, democracy, foreign affairs, ASEAN, economic development, and the changing media landscape. He has also written for foreign publications, including the New York Times, Foreign Policy magazine website, Washington Post/Newsweek Blog, and the Straits Times of Singapore. His other main task is in training new journalists and in organizing English writing workshops for Indonesian professionals. He is involved with various organizations, including the Alliance of Independent Journalists (AJI) in Indonesia and the Southeast Asia Press Alliance (SEAP) based in Bangkok. In 2012, he helped found the International Association of Religion Journalists (IARJ) and serves a member of the board of directors. He began his reporting career in 1983, spent a seven-year stint at Reuters and Agence France-Presse (AFP) and was editor-in-chief for The Jakarta Post in 2004-2010. He was a Senior Fellow at the East-West Center office in Washington DC in 2011, spent two semesters at Harvard University in 2003/2004 as a Nieman Fellow.